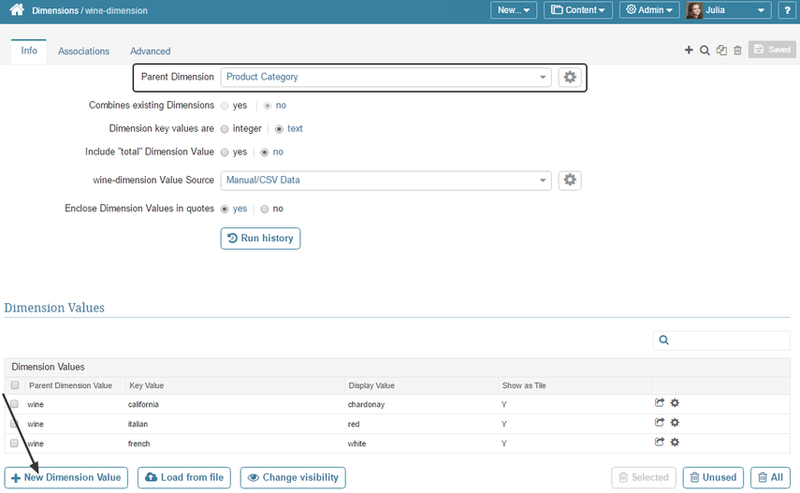 If a Dimension is part of a hierarchy and has its own Parent Dimension; e.g., Products that are part of a Product Groups, you can use Metric Insights' Parent/Child Dimension capabilities to form this relationship. Any Dimension that has a Parent is considered a Child Dimension. An existing Parent Dimension that contains Dimension Values. This example also assumes that a Child Dimension has already been created. EXAMPLE: In the sample below, "Product Category" is the Parent Dimension and "wine-dimension" is the Child Dimension. "Product Category" already has several Dimension Values created. 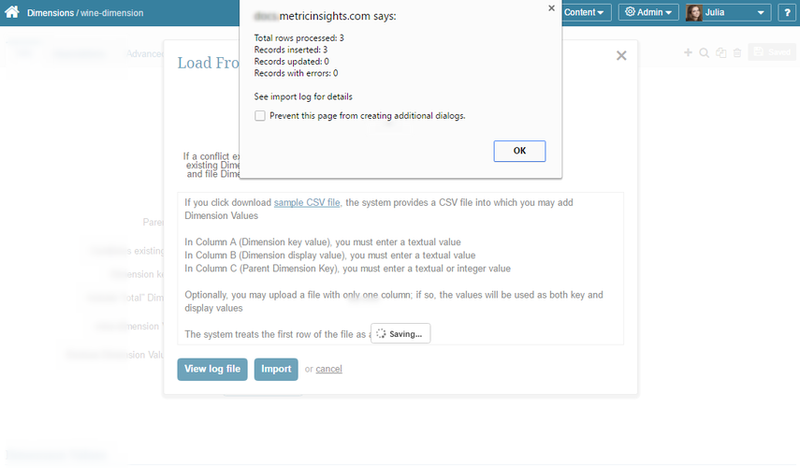 At the bottom of the page click [+ New Dimension Value].